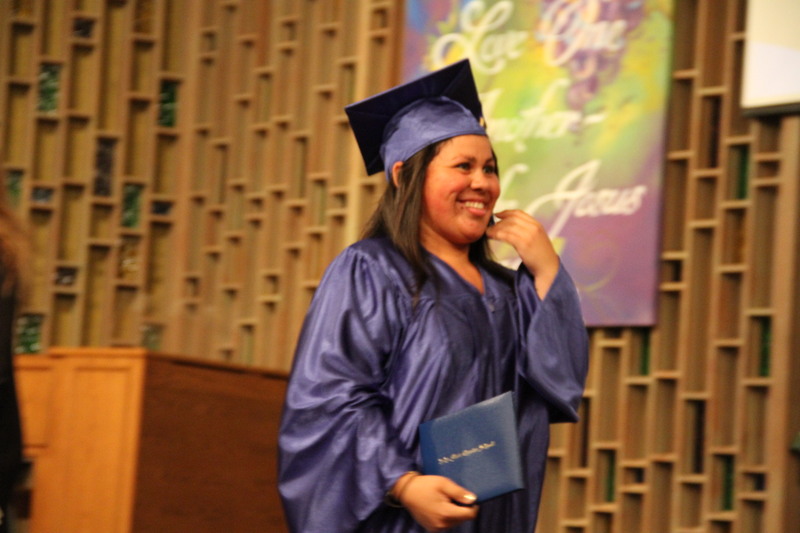 The sanctuary was packed with about 240 families, friends and supporters of the thirteen graduates ready to walk across the stage toward a brighter future. The entire room was full of energy and excitement at the 2013 Cloud & Fire YouthBuild Graduation Ceremony, for these young men and women had reached a significant educational milestone. Clothed in blue caps and gowns, these thirteen walked down the aisle with “Pomp and Circumstance” playing in the background, unable to contain their smiles. They had accomplished what at one point seemed impossible, and despite all the setbacks they had experienced, here they were, about to receive their high school diploma. Glory to God! Executive Director Melody Rossi was especially proud of the graduates.